SPS2015 Al Fresco division 2 winner- photo by Saltwater Images. 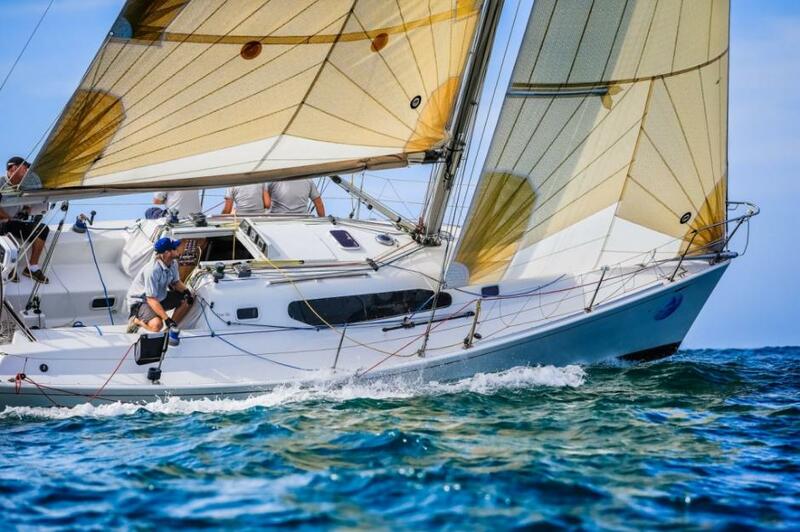 The owner of the first boat to register for the 2015 Sail Port Stephens regatta is “chuffed” to be taking home top divisional honours by the narrowest of margins in the completed Commodore’s Cup series. Dave Griffin and his Royal Motor Yacht Club crew on board the Titan 36 Al Fresco from Pittwater in Sydney beat John Veale and Graeme Davey’s Elan 340 GWhizz by one point after three passage races, two inshore on Nelson Bay and the closing Three Islands Race mostly offshore today, Wednesday April 15, 2015 in magic conditions. The fun isn’t over for Al Fresco. They’ll take a break along with other crews for a layday tomorrow and be back out on Friday for the second half, this time racing in the Performance Cruising division with many of the same boats and faces. 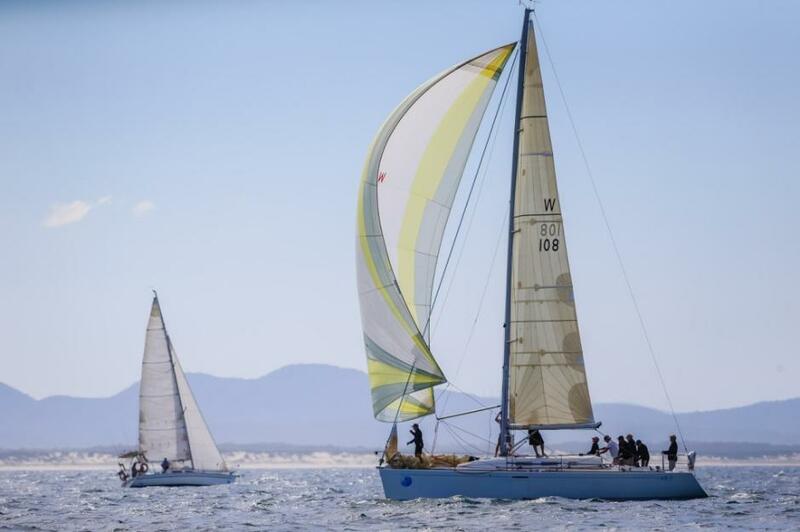 Division 1 of the Commodore’s Cup was taken out by Mark Skelton’s Beneteau 40.7 called JAB, their lead a little more comfortable than Al Fresco’s at three points clear of the second placegetter, Steve Connor and his 39-foot Jones design called Arch Rival from Sydney. Skelton and JAB sail for Wangi Amateur Sailing Club on Lake Macquarie and on board racing for Newcastle Cruising Yacht Club is trimmer Rob Howard, the other half of the Schouten Passage partnership. Jan Howard and her ‘skirts’ crew weren’t able to get near sistership JAB’s final top scoring result with Schouten, but they seemed to fulfil the fun quota set prior to the opening race on Monday. Skelton are his crew are staying on at Port Stephens for the Performance Cruising series starting Friday through to Sunday April 19, 2015 and the skipper says he’s very comfortable with the building forecast. Last year’s rainy Sail Port Stephens is a distant memory, replaced by a third magic day of sunny skies, a top temperature of 26 degrees and 10-12 knots of north-easterly breeze outside the heads, less inshore which was perfect for the first of the two day Junior One Sail Series just off the Port Stephens Sailing and Aquatic Club at Soldiers Point. Kids in BICs, Optimists, Laser Radials, Laser 4.7s and Sabots completed two races on flat water with a fair bit of woo-hooing and the odd crash in the pre-start. 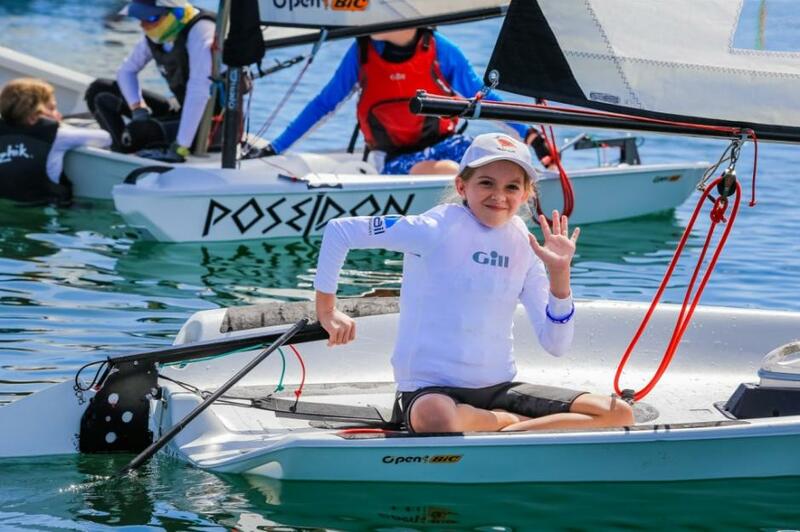 Harry Bailey’s Open BIC called Newcastle Yacht Club leads the series. This evening many of the 40 Commodore’s Cup crews will gather at the Nelson Bay Bowling Club for dinner and official trophy presentation. 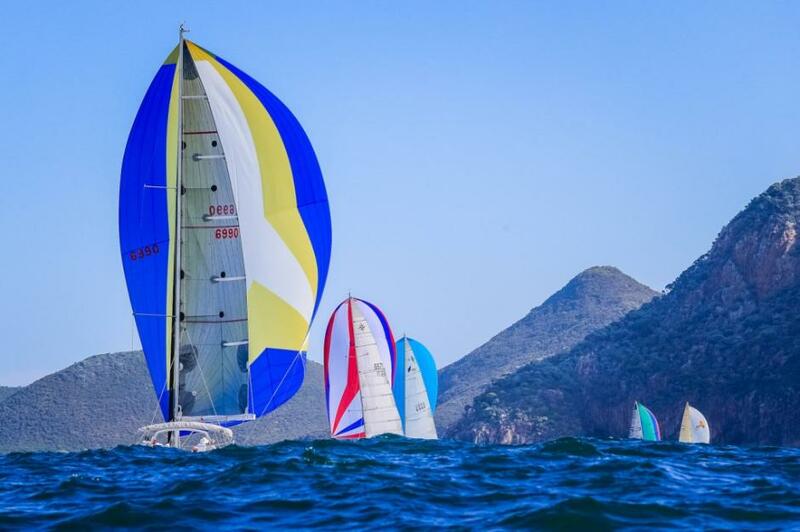 Tomorrow, Thursday April 16, is a layday for the keelboat fleet prior to the opening of the second stage Port Stephens Trophy incorporating the NSW IRC Championship on Friday 17th. The Hunter coastal forecast for Friday is south-east to south-westerly winds 15-20 knots tending east to south-easterly 10-15 knots in the evening then tending east to NE in the late evening. Stronger northerly winds are likely on Saturday. 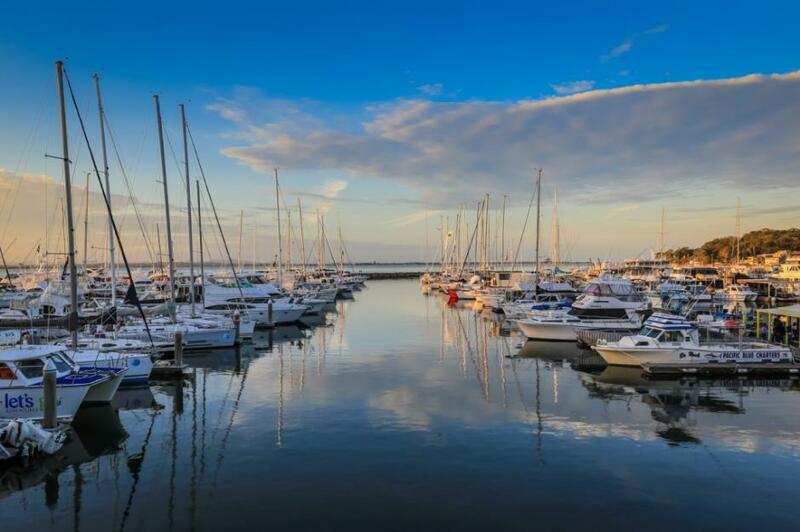 Pantaenius’ major sponsorship of Sail Port Stephens continues for the second year and the regatta is proudly supported by the NSW Government through its tourism and major events agency, Destination NSW. SPS 2015 JAB Commodore's Cup division 1 winner- photo by Saltwater Images. 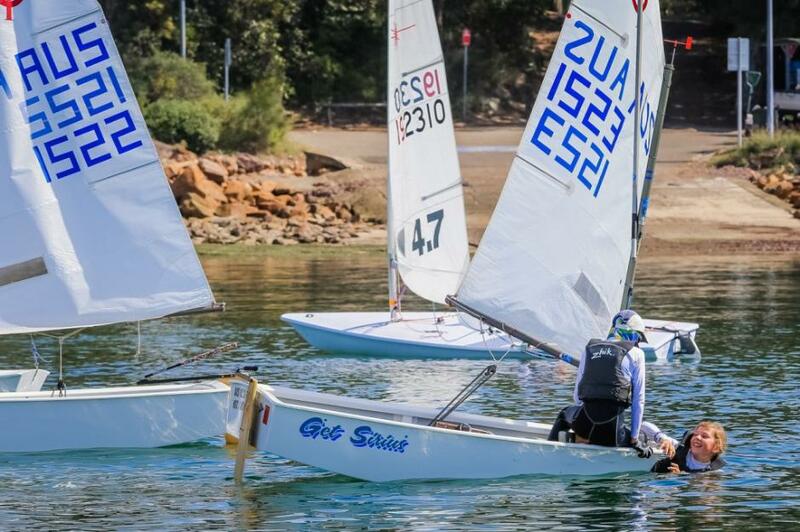 SPS 2015 final Commodore's Cup race - photo by Saltwater Images. d'albora Marina Nelson Bay at sunset - photo by Saltwater Images. Report by Lisa Ratcliff - Photographs by Craig Greenhill: Saltwater Images, 2015.